Hot on the heels of a 1999 blockbuster horror film with a phenomenal twist ending, Alejandro Amenabar’s outstanding 2001 contribution to the pantheon of ghost stories, The Others, sent audiences home claiming rip-off of the first, more popular film. 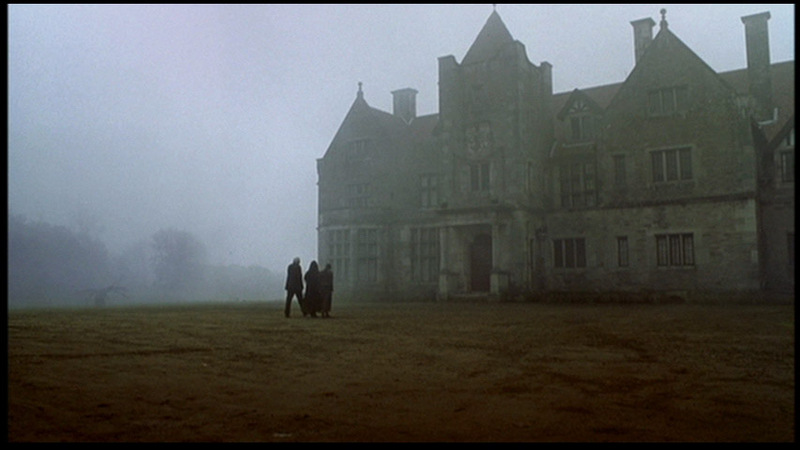 Whereas the aforementioned blockbuster was loud and boisterous and starred one of the hottest box-office action heroes of its day, The Others was a quiet, psychological thriller of the slow-burn variety. Guess which one gets my vote? Amenabar’s story, written directly for the screen, takes its cue from such classics as Turn of the Screw and the ghost stories of M.R. James, with a dollop of Shirley Jackson thrown in for good measure. Grace Stewart (Nicole Kidman) is Henry James’ sexually repressed neurotic re-imagined as a religious fanatic, dutifully forcing her beliefs on her children – to the extent of forcing them to describe for her where they shall burn for all eternity if they are wicked. Grace’s two small children have a genetic photosensitivity to light which serves both as subplot and a vehicle for the visual motifs of the film. Out of necessity, the rooms of the house are kept in darkness with only meager light slipping from behind curtains or emanating from the low-glow of oil lamps. Like the characters in the story, the audience is also in the dark as the mystery begins to unfold. While Grace’s husband is away at the war in France, the servants abandon the manor home in the Jersey Isles and before Grace is able to post an advertisement, a housekeeper, gardener, and maid arrive on her doorstep. They are a right jolly trio, seasoned professionals, and ready to adapt to Grace’s tyrannical demands. Soon after their arrival, Grace begins to hear the sounds of a child’s footsteps scampering in the rooms overhead. 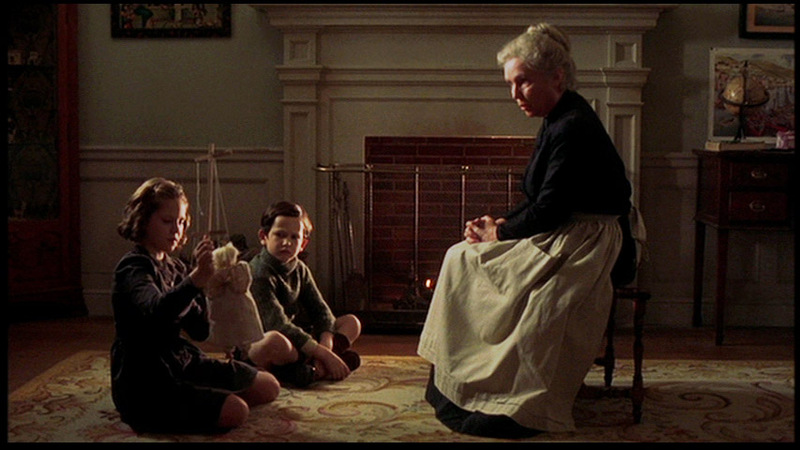 Her children claim to have seen ghosts in the house, most notably a little boy named Victor, and an old blind woman. The new servants apparently know about the ghosts; indeed the housekeeper, Mrs. Mills, tells Grace that they had worked in the house many years before. Grace is convinced either her children or the servants are playing tricks on her. 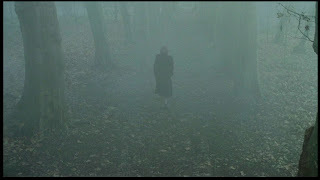 The mystery deepens and one afternoon, Grace sets off in the fog to fetch the local priest for an exorcism. “She won’t get far,” Mrs. Mills confides to Mr. Tuttle, and sure as you can say “Bob’s your uncle,” Grace is driven back to the house… with an unexpected visitor in tow. 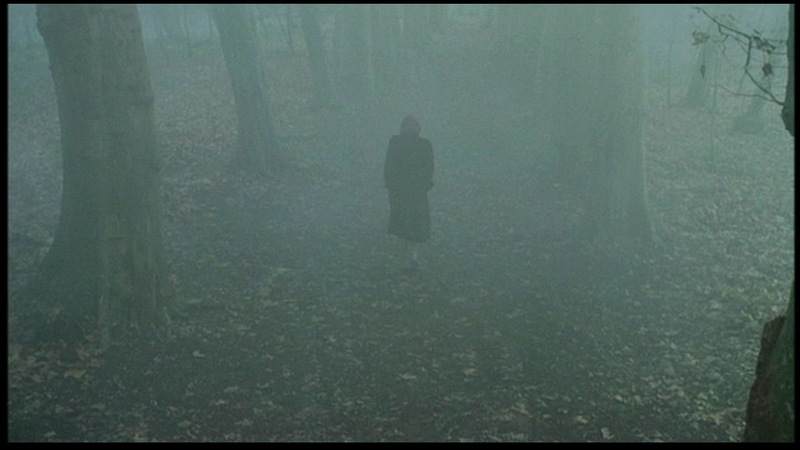 Re-watching The Others this week, I was particularly impressed with Kidman’s performance. Grace is wound pretty tight, and her performance is one to rival Julie Harris’ in The Haunting. Director Amenabar, however, is the star of the show – the framing, the lighting, the music… all of it adds together to make a cinematic work of art that has held up well for ten years and should outlast other noisy thrillers of its time. The Others deserves to be watched with a single candle burning and the window cracked to let a chill, winter breeze infiltrate your room. 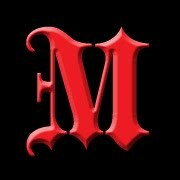 Watch The Others, and rediscover a modern Gothic masterpiece. Excellent movie, thanks for the review.